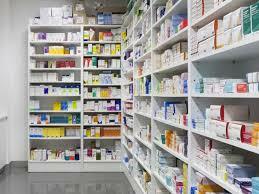 The Federal Government has urged the Pharmaceutical Council of Nigeria (PCN) to ensure strict supervision and capacity building of Patent and Proprietary Medicine Vendors (PPMVs) to ensure quality pharmaceutical services. Head of Pharmaceutical Services Division, Food and Drug Services Department of the Federal Ministry of Health, Mrs. Beauty Okologo gave the task on Thursday in Abuja at a stakeholders meeting geared toward a review of the Approved Patent Medicines List (APML). Okologo explained that based on the Approved Patent Medicines List drawn from the 2016 Nigerian Essential Medicine List (EML), PPMVs were expected to stock and sell certain drugs to improve access by the populace as well as address current reality in health. The Programme Director, PACFaH @scale, Mr Ibrahim Ayuba said the meeting was convened to ensure the PCN APML is strengthened to reflect current realities in the health space.